Some stories are unknown to the world although they are as tragic and important as others that the world is familiar with. Most people know about the beginning of WWII – the attack of Nazi Germany on Poland on September 1, 1939. Very few, however, know that Poland was also attacked by the Soviet Union from the east, just 17 days later. The Soviets took over half of Poland, the lands in the east, called Kresy, arrested and then secretly murdered 22,000 of Polish officers and Polish intellectuals in what is called the Katyn massacre, for the longest time attributed to Germans. It deported 1.7 million Polish citizens – mostly civillians to Siberia. 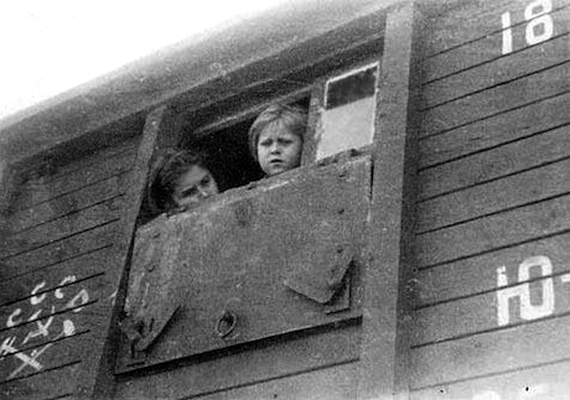 They were transported in inhumane conditions in cattle cars to the land of cold and slave labour – the Soviet gulag, camps in which over half of them died of starvation, exhaustion, cold and disease. Those who survived the horrors of the Siberian camps were released when Germany attacked the Soviet Union in 1941 and Poland became its ally. Some joined the Anders army and started fighting in battles in many countries. Most never returned to their home country Poland, after the war ruled by the Soviet-backed pro-communist government. The survivors of this “forgotten odyssey” often suffer from post-traumatic stress disorder much like Holocaust survivors. Their little known stories are finally shared and publicized by the Kresy-Siberia Foundation, a forum for them, their children and grandchildren. The organization created its Virtual Museum. On the day of Soviet 1939 aggression on Poland, September 17, the Kresy Siberia Foundation will be hosting its annual “Generations Remember 2016″ Congress and Conference”. More on the conference.